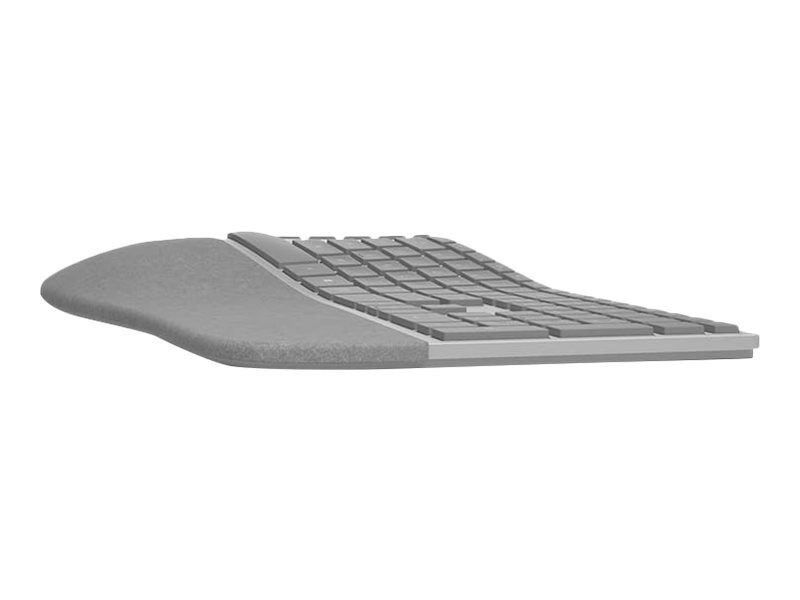 The Microsoft Surface Ergonomic Keyboard delivers incredble productivity with advanced comfort. The unique palm rest and subtle changes to the keytop geometry, split space bar, and naturally arched shape help protect you from hand and wrist strain, while improving your typing form. This carefully crafted addition to your desk features a double-cushioned palm rest in stunning two-tone grey mélange Alcantara — a proprietary material with unique aesthetic, sensory, and technical qualities.